John Bentley Rawdon, age 77, of Gallatin, Tennessee, passed from this life Tuesday, October 23, 2018 at Vanderbilt University Medical Center. He was born in Obion Tennessee to Mary (Austin) Rawdon and the late Herbert Rawdon. Bentley spent his life as an educator for the State of Tennessee, He also served as a Methodist Minister in his earlier years. He was a loving husband, father and grandfather. He is survived by his loving wife of 55 years Judi (Stanfill) Rawdon. In addition to his Father, Bentley was preceded in death by a Brother Ronal Rawdon. In lieu of flowers donations may be made in his memory to Alzheimer's of Tennessee, Inc.
Funeral services for Bentley will be held Friday, October 26, 2018 beginning 10:00 am from the chapel of Crest Lawn Funeral Home. Interment will follow in the Crest Lawn Memorial Cemetery. The family will receive friends at the funeral home Thursday, October 25, 2018 from 5:00 pm until 7:00 pm, and again Friday October 26, 2018 from 9:00 am until time of service at 10:00 am. 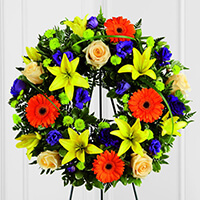 To send flowers to the family of Bentley Rawdon, please visit our Heartfelt Sympathies Store. We encourage you to share any memorable photos or stories about Bentley. All tributes placed on and purchased through this memorial website will remain on in perpetuity for future generations. Dear Judi, We were shocked & saddened to hear of Bentley's passing. So very honored to have known him (known to us mainly as Dr Rawdon) He was such a great principal at GHS. We think very highly of you both. It was always a welcome time when we got to see you. Glad to have met your Shannon & Shawn both last Friday. Praying that God will give you peace. Judy - I am so sorry for your loss. Everyone needs at least one friend like Bentley. Though our paths had not crossed in some time, I know if I ever needed anything he would always be there. I just got this sad news yesterday. My thoughts and prayers are with you and your family. We are so sorry for your loss. I was fortunate to teach under Dr. Rawdon at Gallatin High School. He was an outstanding school leader and a kind, gentle man. Judi, I am so sorry for your loss. I often think of you and the times we had. Mrs. Judy, I am so sorry to hear about Dr. Rawdon. I am truly saddened. Please know you are in my prayers. So sorry for your loss Judi! I'm glad I had the pleasure to meet him and be apart of your afternoon lunches for the past couple years!! Prayers for you and your family! I'm so sorry for your loss. I came to know Bentley and Judi from 5 Chefs and The Chocolate covered strawberry Cafe. He was a very sweet person, they both are. Judi, if there is anything you need or that we can help with please let me know. My thoughts and prayers are with you and your family during this most difficult time. He will be missed greatly.